When garbage collector Nathan Binnie opened a trash can on October 30 in New Stanton, Pa., he was shocked by what he found inside. 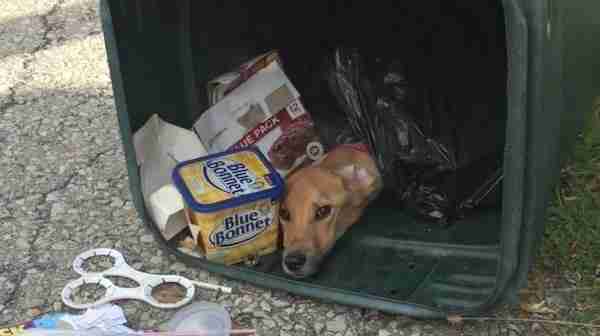 Nestled in a black bag amidst the trash was a young dog, her face poking out of the plastic bag. Upon further inspection, Binnie found that the dog was emaciated and starving - having possibly been in the garbage can for three days without food or water. "(She was) very skinny, you know, I mean you (could see) every bone ... (she) was shivering and shaking," Binnie told WTAE Pittsburgh. "It was just horrific." Binnie called his dispatcher and gave the little pup his lunch while they waited for help to arrive. Binnie typically doesn't look into the cans he collects before he dumps them in his truck. He tells WTAE he's not sure what compelled him to break from habit and look inside that particular can, but the dog is very lucky he did. 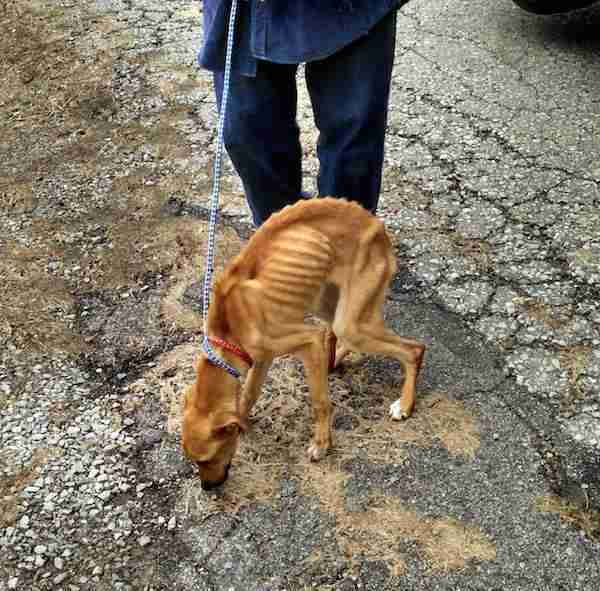 Officers of the Humane Society of Westmoreland County arrived on the scene to collect the scared dog. The Humane Society discovered through a microchip in the dog that the animal was adopted mere months ago from a Fayette County shelter. The former owner has been revealed as Nicole Baker, who admitted to dumping the dog (formerly named Mia) before moving to Texas to live with her boyfriend days before the dog was found. Authorities have charged her with animal cruelty. 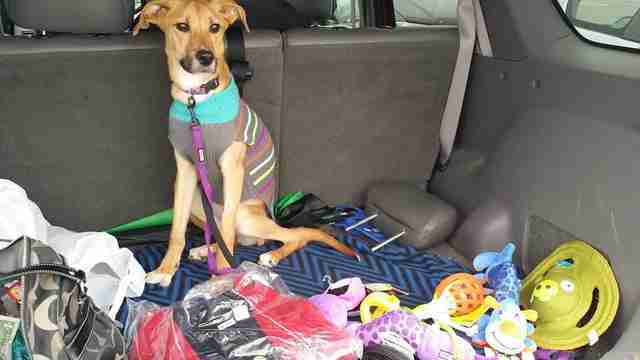 "It's ridiculous," Humane Society Police Officer Jan Dillon told WPXI. "I hate to say it, but it would have been better if they let the dog loose; at least it could have tried to get something to eat." Trooper Stephen Limani told WTAE that authorities found further incriminating evidence on Baker's phone after looking through old text messages. "She had intentionally misled people that were offering to help when it came to taking care of Mia, the dog. She acknowledged the fact that at some point in time, she realized what she was doing, she fully knew it was wrong, and still she put a dog, her dog, in a garbage can." The 10-month-old pup, renamed Fawna, was in rough shape when she first came in to the Humane Society of Westmoreland County. She weighed only 17 of the 50 pounds a dog her age should weigh, and she was so skinny, the vets weren't even able to draw blood from her for testing purposes. Luckily, after several days in recovery, Fawna is doing very well. According to the group's Facebook page she's already gained some weight, and there have been numerous calls asking to adopt the little pup. "Animals should be treated with the same respect as humans," Binnie told WTAE. "They're living, breathing, just like us."